Forensic psychiatry is a subspecialty that involves a psychiatric focus on interrelationships with civil, criminal and administrative law, evaluation and specialized treatment of individuals involved with the legal system, incarcerated in jails, prisons, and forensic psychiatry hospitals. Like all medical specialty boards, the ABPN offers subspecialty board certification in this field. However, in order to qualify even to take this subspecialty board examination, a candidate must have completed a four-year residency in psychiatry, been examined and attained board certification by the ABPN in psychiatry, and undergone a rigorous one-year, full-time postresidency fellowship in law and psychiatry. There currently are thirty-three forensic psychiatric training programs in the United States that are accredited by the Accreditation Council for Graduate Medical Education (ACGME). Accredited programs have demonstrated that they meet the standards for forensic psychiatry training programs established for departments of psychiatry by the ACGME. Graduates of these one-year full-time fellowships then are eligible to take the board examination offered by the ABPN. Passing the exam provides the candidate with the additional "Certification in the Subspecialty of Forensic Psychiatry." At this time, fewer than two thousand of the approximately thirty-five thousand board-certified or eligible psychiatrists within the United States are also board certified in forensic psychiatry. Nevertheless, many psychiatrists who are neither forensically trained nor board certified in forensic psychiatry continue to offer themselves to attorneys as forensic psychiatric "experts." Too often, such untrained "experts" do not have a clear understanding of the significant role distinctions between functioning as treating clinicians and as independent forensic psychiatric experts. Therefore, all too easily they may unwittingly slip into the clinician's role of advocate, as if their relationship to the forensic examinee is identical to the relationship they may have with a patient whom they are treating. As a result, it is crucial that any trial attorney intending to retain a forensic psychiatric expert understand the important differences between clinical psychiatrists and trained, board-certified, independent forensic psychiatric experts. Too often, a plaintiff's treating clinician is retained by plaintiff's counsel to serve as the plaintiff's so-called forensic psychiatric independent expert and to offer opinions that will be cross-examined at deposition and trial. Although this usually is done in order to avoid the cost of retaining a genuinely independent expert, it is a strategic error that may end up winning the battle and losing the war. Here's why. Despite the fact that most experienced forensic psychiatric experts also treat patients clinically, trained experts understand that they should never combine and confuse these two distinct roles. Not only does such role confusion cause ethical and interpersonal conflicts within the therapeutic relationship, it also leaves so-called expert opinions offered by the plaintiff's treating psychiatrist highly vulnerable to cross-examination. This is why: The roles of treating clinician and forensic psychiatric expert differ markedly in mission, method, and ethical duty. Like all treating physicians, the psychiatrist who is functioning as a treating clinician accepts his or her mission as being the alleviation of (emotional) suffering, regardless of its cause. The method of the treating clinician is to rely almost exclusively on the patient's subjective account of his or her experience. For example, when a psychiatrist treats symptoms of depression and anxiety in an adult patient who reports that his father beat him as a child, the treating psychiatrist or psychologist accepts that as a factual statement of the patient's subjective reality. The treating clinician does not attempt to determine the objective accuracy of this self-reported statement by, for example, corroborating the claimed abuse by interviewing family members or reviewing old medical records or by any other means. In addition, there is an implicit treatment contract between clinicians and their patients that the patient is seeking treatment from the doctor to alleviate suffering, not to bolster a damages claim in litigation. Furthermore, with rare exceptions, treating clinicians generally do not obtain psychological testing of their patients, except under several specific infrequent circumstances. These would include situations where there is diagnostic uncertainty and making a timely, accurate diagnosis is critical to treatment decisions, or when a child or adult is being evaluated for learning difficulties, or when a patient appears to be cognitively impaired from trauma or a degenerative brain disease, diagnoses that require objective refinement and confirmation. Under the Hippocratic oath, the ethical duty of a treating psychiatrist, as it is with all physicians, is to act in the best interest of the patient and "above all do no harm (primum non nocere)." Consequently, treating physicians are inclined to accommodate the wishes of their patients unless they believe that doing so would be harmful to their patients. Therefore, when a patient claims to be disabled from employment due to an acutely distressing event, most treating physicians are prone to accede to their patient's wishes and authorize leave from work unless there are clear factors causing the physician to be more skeptical than usual. Similarly, when treating clinicians are asked to testify on behalf of their patients, they appropriately function as advocates for whatever they believe is in their patient's best interest. They do not approach such testimony with the same professional skepticism exhibited by a forensic expert. Furthermore, they have usually relied entirely upon their patient's self report to support their diagnoses. Thus, the diagnostic, treatment, and prognostic opinions that may be offered to the trier of fact do not necessarily reflect evidence-based, objective truth. For example, in more complex employment matters, a patient may report that he or she has been discriminated against by an employer or retaliated against for "whistle-blowing." When the patient subsequently is terminated, he or she alleges that it was "wrongful," characterizing any subjective dysphoria as "severe and ongoing emotional distress" allegedly caused by the employer. Although this may be a perfectly true conclusion, to stand, it must be supported by objective evidence substantiating both the suffering and the causation, not simply the assumption that because B follows A, A caused B. However, more often than not, the treating clinician accepts as valid the patient's characterization of his or her workplace experience and the unsubstantiated "facts" offered to support that conclusion, frequently also accepting presumed motivations of coworkers and employers as reported to them by their patient. In stark contrast, the mission of the forensic psychiatric expert is to determine as accurately as possible what is obobjectively true about the plaintiff's or criminal defendant's diagnosis from a skeptical point of view. In addition, the forensic psychiatric expert vigorously seeks objective data relevant to determination of diagnosis, treatment, prognosis, and causation. The gold bullion standard for the opinions of a forensic psychiatric expert is the ballistics expert who can opine with reasonable scientific probability that a particular bullet was fired by a particular weapon, or was not, albeit recognizing that determining what is objectively true in behavioral science is far more complex and nuanced than in ballistic science. Nevertheless, this remains the goal for any competent forensic psychiatric expert. The method of forensic psychiatric analysis is to review all possibly relevant behavioral data. This includes all medical and legal records from time periods both prior and subsequent to the events giving rise to the litigation or criminal prosecution, collateral information from deposition transcripts, other testimony and declarations of key witnesses and from psychological or neurocognitive test data. At Forensic Psychiatric Associates Medical Corporation (fpamed), it is standard practice to obtain psychological testing administered, interpreted, and reported by an experienced and well-trained forensic psychologist in all civil (and some criminal) matters. Neuropsychologists measure aspects of neurocognitive and psychological functioning through the use of a variety of standardized, valid, and reliable tests. The data yielded by the tests makes possible a statistical comparison of the individual's functioning to that of other individuals of similar age and educational levels. The test battery can provide evidence of abnormal functioning that may be the result of injury or disease or that may be related to personality traits and psychiatric disorders. In addition, an assessment is made about the manner in which the individual responds to test questions. This provides a quantitative measure of the magnitude of atypical responses, the degree of effort made by the examinee, as well as the likelihood of the feigning of psychological symptoms or neurocognitive functioning. Test data is analyzed statistically to compare the ways in which an individual's pattern of test findings is similar or dissimilar to those of other persons who have suffered comparable injuries, disabilities, or diagnoses. Neurocognitive and psychological testing provides solid, scientific evidence that can be used to form evidence-based opinions about the likely veracity of the plaintiff's claims regarding loss of cognitive functioning and emotional distress, as well as the plaintiff's fitness to function at work, at home, or in legal proceedings. In addition, the forensic psychiatrist conducts an in-depth interview of the plaintiff or criminal defendant. This interview, which requires a minimum of several hours, permits the forensic expert to hear the examinee's subjective view of events leading up to the legal action firsthand. The interview supplements other data already gathered from the careful and detailed review of medical and legal records, as well as in the psychological test data. Thus, the examinee's subjective narrative is assessed within a much larger context of clinical evidence than is generally available to the treating psychiatrist. Finally, the ethical duty of the forensic psychiatric expert is only to the trier of fact. He or she should not be an advocate for either side in a civil or criminal dispute. His or her opinions must be evidence-based, which is the modern standard for best medical practices. It should specifically be understood that the only duty owed by the forensic expert to the retaining attorney is a commitment to professionalism and honesty and a fiduciary agreement regarding payment for expert services. Furthermore, at the time that the expert is retained, she or he should explain, preferably in writing, that after applying the current best principles of scientific data analysis, the expert may reach conclusions that may or may not be supportive of the attorney's theory of the case. Psychological testing is regarded as essential to our ability to reach accurate, independent, and evidence-based psychiatric diagnoses. However, just as one would want an experienced radiologist or neuroradiologist to administer and interpret a brain MRI, so is it with psychologists and neuropsychologists. In order to obtain meaningful interpretation of psychological test data for medical legal purposes, it is critical not only that the psychologist or neuropsychologist be well trained and experienced but also that they understand the unique parameters that apply to forensic questions. 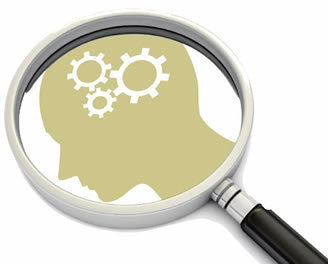 When seeking a forensic psychiatric opinion about the behavioral symptoms of a plaintiff or criminal defendant, no matter how clearly and explicitly you formulate the specific questions that you would like your expert to address, whom you retain to assist you with these issues can be of critical importance to the outcome of your case. 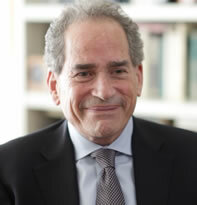 Dr. Mark Levy, MD, DLFAPA, a Distinguished Life Fellow of the American Psychiatric Association, has been practicing Clinical Psychiatry and Psychoanalysis full time for over 30 years. During the past fifteen years he has devoted a substantial portion of his clinical practice to Forensic Psychiatry, providing independent medical evaluations (IME's) and expert forensic psychiatric opinion and Consultation nationally for plaintiff and defense trial attorneys, major insurance carriers and the courts. DO NOT REPRODUCE WITHOUT WRITTEN PERMISSION BY AUTHOR.